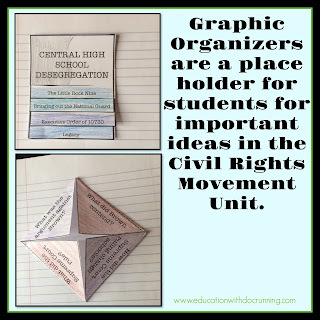 Interactive Notebooks: I have a set of graphic organizers which students will glue into their notebooks on the first day of the unit. We "waste" about half a day doing this, but then we don't have to glue at all the rest of the unit AND students aren't missing anything if they are absent. The notebook pages serve as a guide for major topics in the unit. Collaborative project to get oriented: The first formal day of the unit, students work in groups of 3-5 to create a quick newspaper on the Civil Rights Movement. This activity is an introduction to some of the major figures, events and topics of the Civil Rights Movement such as Rosa Parks, the Voting Rights Act of 1965, and the Little Rock Nine. I like to get students thinking, analyzing and working together for inquiry. This activity will take 3-4 class periods. We will have a gallery walk at that end to view each other's newspapers, react to them, and have an opportunity to do a short analysis activity. Setting up the unit project: We are going to do a role play activity for the unit project. Each student will select a figure from the Civil Rights Movement to investigate. They will write an essay about their figure and complete several activities to prepare them to play the figure at a civil rights conference. On the last day of the unit, we will conduct the conference. 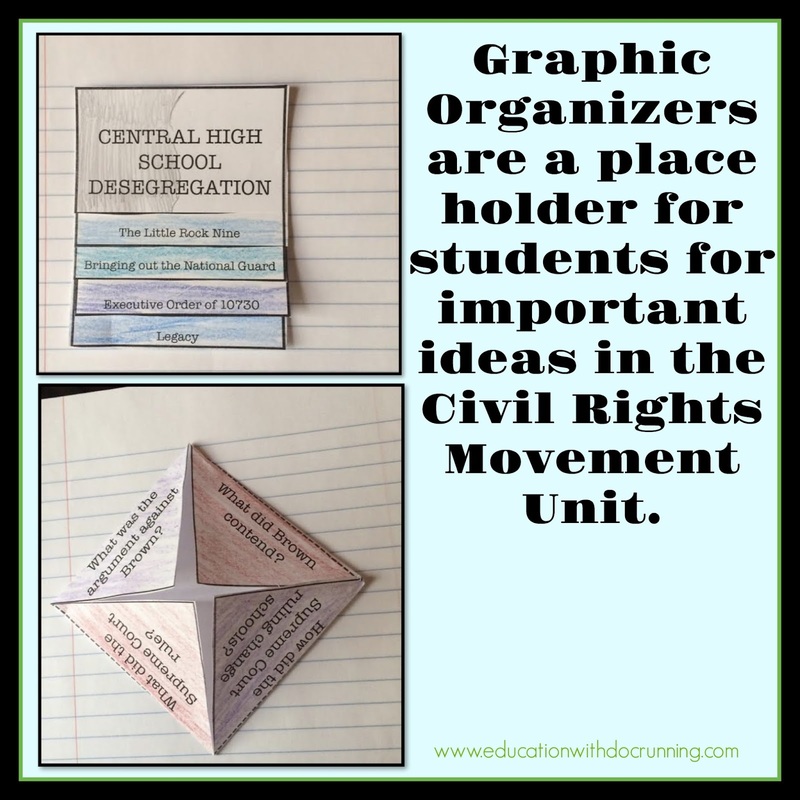 Students will arrive as the person they researched and role play him/her through small breakout sessions that address key civil rights isssues. Supplemental activities: Once the unit project is introduced, we will spend much of our time in class conducting lab sessions to work on the project (read more here about how we work on student-centered projects). Additionally, students I will incorporate some station activities such as an illustrated timeline and journal questions (FREE). We also will do a pictorial gallery walk about segregation in education This always leads to fascinating discussions. I'll also incorporate some video examples, although I haven't decided yet, what. Probably, we will watch part of Hidden Figures or I may show the entire movie during lunch. We also might check out part of Selma. There are so many wonderful films and news clips about the Civil Rights Movement that it is always hard to choose. 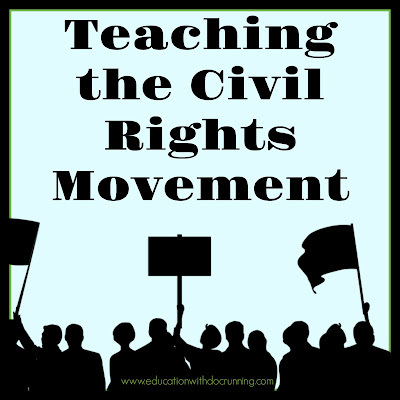 Wrapping the unit up with meaning: In addition to the conference, we will spend a final day bringing our knowledge of the civil rights movement into a debate and analysis of civil rights movement issues today. All in all I estimate three weeks for this unit, although I have plans to be flexible if students are really engaged. The conference might be extended. 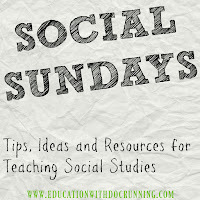 I also find that sometimes a topic comes up in one class that we need to explore in more depth, and so I am ready to add a day where needed. I have allotted a month, just in case. 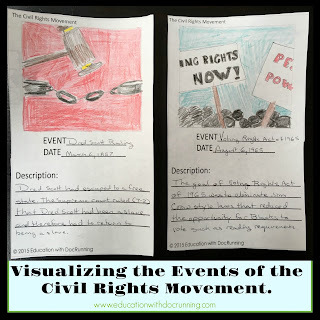 If the Civil Rights Movement doesn't fit your class for Black History month, you can find more ideas for Black History month here. Have more ideas or film suggestions? Please share in the comments section. More ideas are always appreciated. 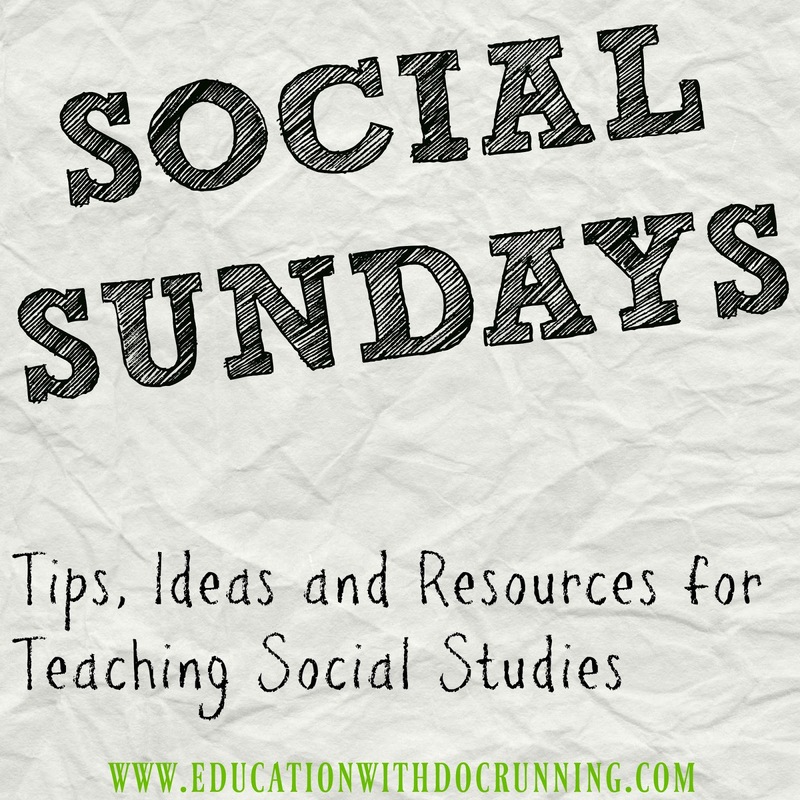 Social Sundays is a bi-weekly post sharing tips, ideas, resources, and products for teaching social studies. 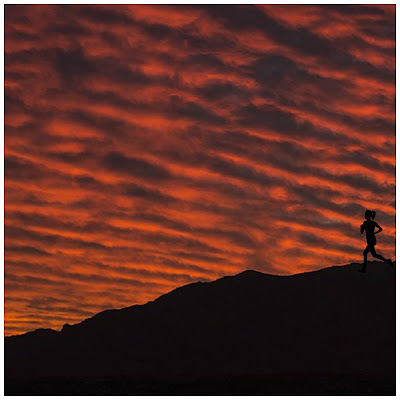 If you have questions or think there is something I should share, you can leave me a message in the comments below or at the store in the question and answer section.